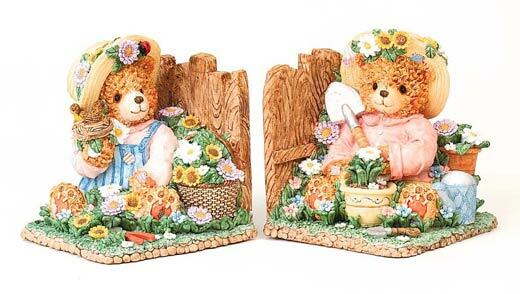 Welcome to our page of beautiful bookends. Enjoy your visit and come again. Thank you. 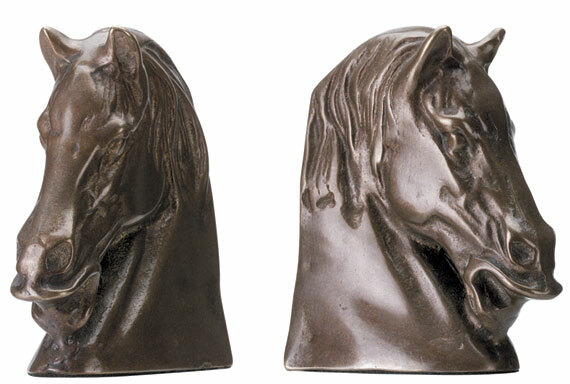 Bookends for the horse lover. 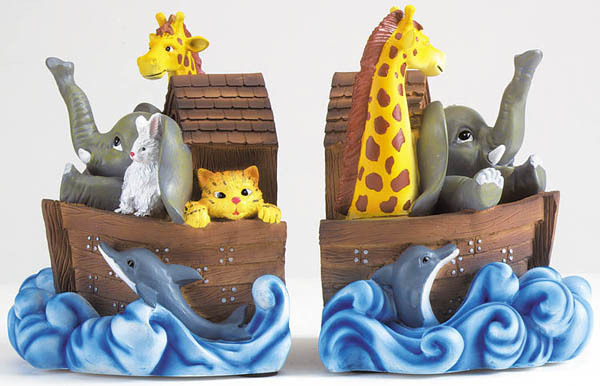 Flowing manes blend into waves at the base. These are crafted in alabastrite with a deep bronze finish. From the Liberty Bronze Collection. 4" x 4 1/2" x 6" high. 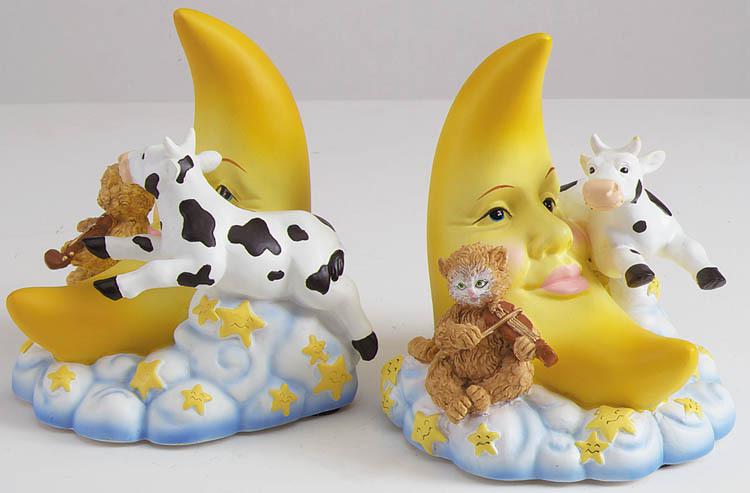 Hey diddle-diddle the cat and the fiddle, the cow and the moon are all present in this whimsical set of alabastrite bookends. A delight for children and adults of all ages. 4 3/4" x 4 1/4" x 5 1/8" high. Pair. 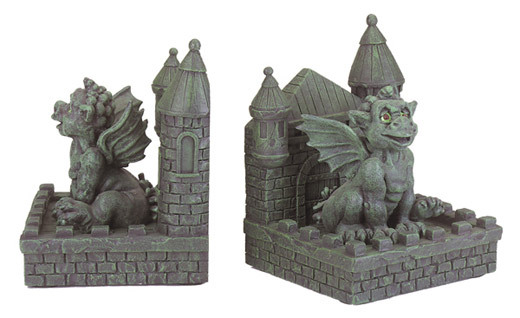 Delightful gargoyles adorn these stone-like bookends to guard your most beloved books, alabastrite. An Avery Creation Exclusive, 4" x 4" x 5" high. 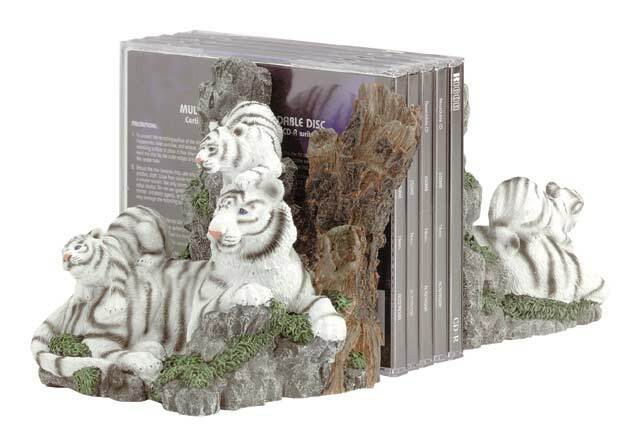 This exciting set of bookends, portrays an always vigilant white tiger, ready to spring into action at the slightest threat to her playful cubs. 4 1/2" x 4" x 4 1/2" high. Alabastrite. Pair. 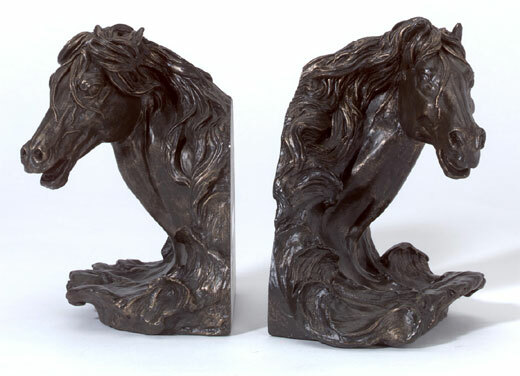 Unpolished brass bookends portraying the dignity of the horse. 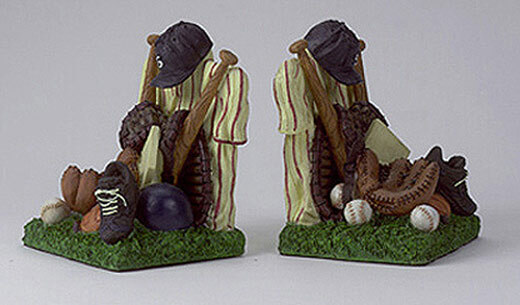 Each is 4 1/4" x 2 1/2" x 5 5/8" high. 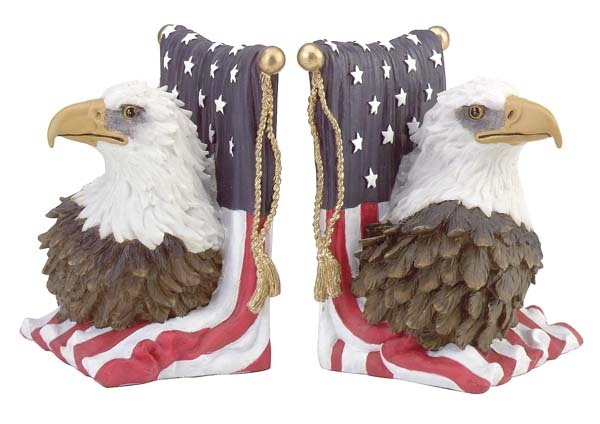 A welcome addition to your Americana Collection. 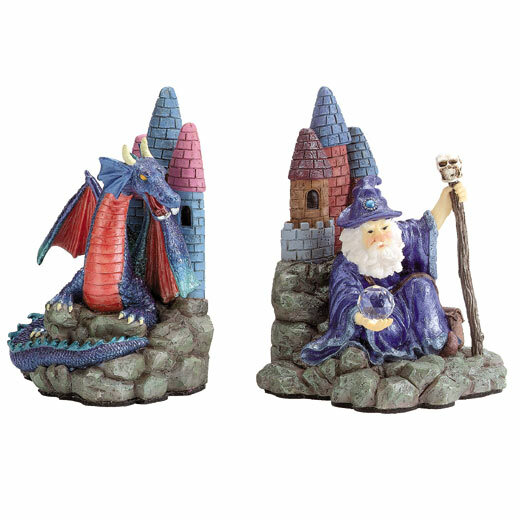 All the mighty symbols of freedom adorn these highly detailed, alabastrite bookends. An avery creation exclusive. 5 1/8" x 4 1/8" x 5 7/8" high. Pair. 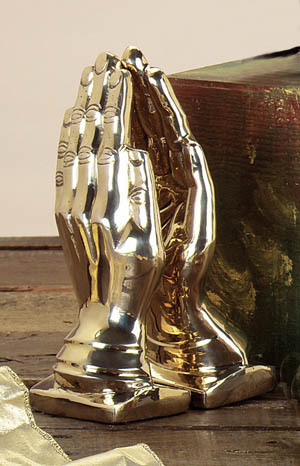 Inspirational brass praying hands, bookend set. 3" x 2 3/4" x 7 1/4" high. 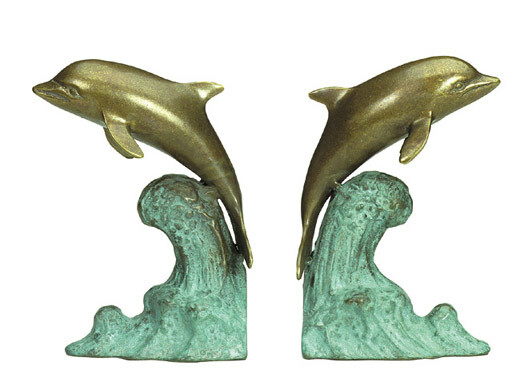 Cast in brass with a bronze finish and riding on virdigris waves, these dolphins bookends are designed with style and grace befitting these intelligent creatures of the sea. 4 1/2" x 2 3/4" x 6 1/4" high.